Illustrated lectionary readings at Vanderbilt Divinity Library, Year A, Year B, Year C.
Lectionary readings from the Episcopal Lectionary: BCP / RCL. "Ascension" and "Feast of the Ascension" from (the 1913 edition of) The Catholic Encyclopedia. "Final Instructions," Robert Cornwall, Ponderings on a Faith Journey, 2018. A Plain Account Commentaries, 2018. The Preacher's Study, Johnn W.B. Hill, 2018. "The Value of Each Life," John W. Martens, America: The National Catholic Review, 2016. "The Departed?" Ann Dieterle, Modern Metanoia, 2016. The Preacher's Study, Todd Townshend, Ascension, 2016. Godspace Resources, Christine Sine, Ascension 2016. "Left Behind," Journey to Penuel, 2016. "Resurrection Is Promise," Karoline Lewis, Dear Working Preacher, 2016. Sermon Brainwave, Lectionary podcast featuring Profs. Karoline Lewis, David Lose and Matt Skinner, discussing the week's passages in light of current events. At Luther Seminary's WorkingPreacher.org. 2016. Ascension Resources: prayers, quotes, poetry, hymns and art to use as meditation prompts, Suzanne Guthrie, At The Edge of the Enclosure, 2014. "He Ascended with Scars," Aaron Coyle-Carr, Day 1, 2014. Evangelectionary, Peter Bush, Evangelism Connections, 2014. Resources for Ascension Day, Godspace, 2014. Visual Reflection set to "And Still I Rise" by Maya Angelou, Kathleen Sheets, Presbydestrian. "Why Are You Looking Up?" Blair Monie, Edgy Exegesis, 2014. "The Other Miracle," Rev. David Sellery, 2014. "A Word in Time," Anne Howard, The Beatitudes Society, 2014. "Everything that Rises Must Converge," Nancy Rockwell, The Bite in the Apple, 2014. "Beginning at Jerusalem," Andrew King, A Poetic Kind of Place, 2014. "Scrubbing the Table," Katie Munnik, Presbyterian Record, 2014. "Of Ascending Love," Thomas Beam, 2014. Preaching Helps (Ascension). Rev. Dawn Chesser, United Methodist Church General Board of Discipleship, 2013. Sermon Brainwave podcast, Luther Seminary, 2013. "Ascension and Embrace," Debra Dean Murphy, Ekklesia Project, 2013. "Don't Just Stand There! Get Busy" John Holbert, 2013. Tuesday Lectionary Leanings, Risin' Up Edition, RevGalBlogPals lectionary discussion, 2013. "Stay," Ascension / Easter 7, Jan Richardson, The Painted Prayerbook, 2013. Ascension Resources, Suzanne Guthrie, At the Edge of the Enclosure, 2013. "Ascension Day," Robert Stuhlmann, Stories from a Priestly Life, 2013. Lectionary Notes for Ascension, 2013. "Magical Thinking," Larry Patten, 2013. Tuesday Lectionary Leanings, Rise Up Edition, RevGalBlogPals lectionary discussion, 2012. "Ballast from Bethany," Peter Woods, I Am Listening, 2012. Ascension Resources Suzanne Guthrie, Soulwork toward Sunday: At the Edge of the Enclosure, 2012. The Lectionary Lab, Ascension, the Rev'ds Dr. John Fairless and Delmer Chilton (aka "Two Bubbas and a Bible"), 2012. "'He Ascended into Heaven,'" Alyce McKenzie, Patheos, 2012. Lectionary Notes, Easter 7, Beth Quick, 2012. "Making the Down Payment," Robert Cornwall, Ponderings on a Faith Journey, 2012. "A Third Way," Larry Patten, 2012. "Speculators or Witnesses?" John C. Holbert, Patheos, 2012. Exegesis for The Ascension, Dallas A. Brauninger, SermonSuite. "Left Behind for Good!" David Lose, WorkingPreacher, 2011. The Painted Prayerbook, "Blessing in the Leaving," Jan Richardson, 2011. Use of images. What the Tide Brings In, Ann Fontaine, 2011. "Gospel Sequel," Doug Lee, The Ekklesia Project, 2011. "Progressive Christianity on Ascension Sunday," Carl Gregg, Patheos, 2011. "Defenders of the Poor," John C. Holbert, Patheos, 2011. "We Will Never Be without Him,", Alyce McKenzie, Patheos, 2011. Grounded and Rooted in Love, Ascension, Matt & Laura Norvell, 2011. Tuesday Lectionary Leanings, Something Strange Edition, RevGalBlogPals lectionary discussion, 2011. "Going Up?" Bruce Epperly, Patheos, 2011. John Shearman's Lectionary Resource, Easter 7B/Ascension Sunday, 2009, Rev. John Shearman, Oakville, ON, Canada. "Up, up and INSIDE!" Peter Woods, I Am Listening, 2010. Ascension Politics, Debra Dean Murphy, Intersections, 2010. Jesus Prays That They Might Be One, Jesus is the Fulfillment of the Law, audio telling, story in episodes, graphic, audio and written commentaries. Go Tell Communications, Biblical Storytelling for the Global Village, 2010. "Ascension Politics," Debra Den Murphy, The Ekklesia Project, 2009. Lectionary Notes, Ascension, Rev. Beth Quick and the Lectionary Chat Group Bible Study of St. Paul's UMC, Oneida, NY. Bible Study - Ascension - verse by verse Roman Catholic lectionary commentary at St Charles Borromeo Catholic Church, Picayune, MS.
"Ascension Sunday," Michael Renninger, A Sermon for Every Sunday, 2018. "Walking Downhill," Alan Sherouse, Day 1, 2016. "Moving toward Christian Unity," the Rev. Ben E. Helmer, Sermons that Work, Episcopal Digital Network, 2015. "Why do you stand looking into heaven?" the Rev. Kirk Alan Kubicek, Sermons that Work, Episcopal Digital Network, 2014. "Opening our minds to the Ascension," the Katerina K. Whitley, Sermons that Work, Episcopal Digital Network, 2013. "You Can't Keep a Good Man Down," the Rev. Dr. James B. Lemler, Day 1, 2008. "The End and the Beginning," Ascension Day - 25 May 2006, Hubert Beck, Göttinger Predigten im Internet: Every Sunday Sermons based on the RCL by a team of Lutheran theologians/ pastors. "Footprints on the Earth," the Rev. Barbara K. Lundblad, Day 1, 2005. "More Questions than Answers," Ascension - 5 May 2005, Luke Bouman, Göttinger Predigten im Internet: Every Sunday Sermons based on the RCL by a team of Lutheran theologians/ pastors. "A Mission Accomplished; A Mission to Accomplish," Ascension, 20 May 2004, Walter W. Harms, Goettinger Predigten: Every Sunday Sermons based on the RCL by a team of Lutheran theologians/ pastors. "Somebody Prayed for Me," The Reverend Jonathan Holston (United Methodist), Day 1, 2004. "Just Where Did Jesus Go?" Dianne Bergant, CSA, America: The National Catholic Weekly, 2003. "Power Source," the Rev. Dr. Catherine Taylor, Day 1, 2003. "Gifts for Mission," John R. Donahue, SJ, America: The National Catholic Weekly, 2000. Worship Planning Helps (Easter 7 - Ascension): Worship & Preaching Notes, Hymn Suggestions and Worship Resources from the United Methodist Church General Board of Discipleship. Worship Resources, Easter 7, Ascension, Rev. Mindi, Rev-o-lution, 2016. LCA Worship Planning Page, Easter 7C/Ascension/Mothers Day, "Everything lay-readers need to prepare worship." Lectionary Liturgies, Ascension C, Thom M. Shuman, Presbyterian Church (U.S.A.), 2016. A Festival Eucharist on the Ascension of Our Lord, Rev. Thomas L. Weitzel, Evangelical Lutheran Church in America. Miriam's Tambourine Worship Resources, Memphis Theological School, 2011. Liturgy Alive, Ascension, Claretian Publications, Inc., Philippines. Lector's Notes, Ascension, Gregory Warnusz, Saint Jerome Parish, Bellefontaine Neighbors, MO. Notes and commentary for those reading this week's lectionary texts to the congregation. Prayers of the People - Ascension, General intercessions for Sundays and Feasts, by Ormonde Plater, Archdeacon of the [Anglican/Episcopal] Diocese of Louisiana. Thematic, Intercessory and Scripture Prayers for the RCL, Year A, Year B, Year C, Vanderbilt Divinity Library. The Timeless Psalms: Psalm 47 and 93, (Ascension Day A), Joan Stott, prayers and meditations based on lectionary Psalms, 2011. Ascension Resources Suzanne Guthrie, Soulwork toward Sunday: At the Edge of the Enclosure, prayers and meditations, 2011. Prayers for Ascension Sunday, Michael Anthony Howard, Words@Worship, 2012. 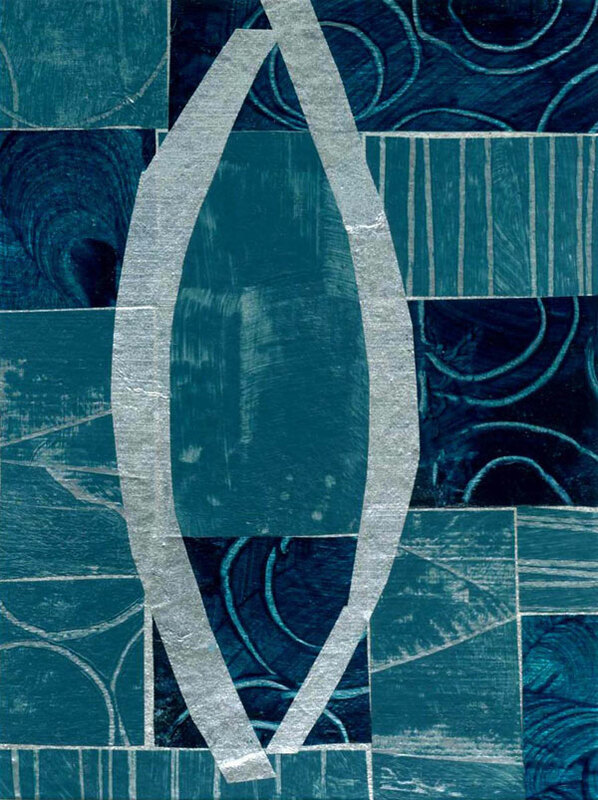 "Christ at the Center," Dan Schifeling, Worshipcalls, 2012. Just Out Of Reach, Miriam's Tambourine, 2012. The Timeless Psalms: Psalm 47 and 93, Ascension C, Joan Stott, prayers and meditations based on lectionary Psalms, 2013. Proper Preface or Collect for the Seventh Sunday of Easter, Porter Taylor, The Liturgical Theologian, 2015. Commentary on Ascension Collect, Bosco Peters, 2016. Prayers of the People, Lowell Grisham, St. Paul's Episcopal Church, Fayetteville, Arkansas, 2016. Hermanoleon Clipart, Ascension. Free clipart, backgrounds, slides, etc. Art in the Christian Tradition, Year A, Year B, Year C, Jean and Alexander Heard, Vanderbilt Divinity Library. Creative Commons Attribution Noncommercial ShareAlike 3.0 License. Clip Art Images: Ascension, Misioneros Del Sagrado Corazón en el Perú. Ascension at Cerezo Barredo's weekly gospel illustration. Follows Latin American Roman Catholic gospel reading, though most gospels texts/themes are found in the index. Liberation emphasis. Images for this week's readings: Year B Pitts Theology Library Digital Image Archive. Commercial Site: Films for Ascension, The Work of the People. Lectionary Puzzles, Ascension. Word search puzzles in RTF or plain text, by Reg McMillan, St.Stephen's Presbyterian Church, Peterborough, Ontario. Lectionary Introductions (background & context), Rev. Bosco Peters, New Zealand. Two Pen Drawings about Ascension, 2013. Örn Bárður Jónsson. Ascension Reflection video, David J.M. Coleman, 2014. Hymn and Song Suggestions, Ascension/Ascensiontide, 2016, annotated suggestions from Natalie Sims, Singing from the Lectionary. Lectionary Hymns, Ascension, National Association of Pastoral Musicians. "Have Pity on Your Children, Lord," Brenton Prigge, NewHymn. "O Christ, When You Ascended," Carolyn Winfrey Gillette, 2007, LANCASHIRE. "O for A Faith that May Inspire," hymn for Ascension Sunday by Marilyn Thornton, music: Old Hundredth. United Methodist Church General Board of Discipleship. Liturgical Planning and Music Suggestions, Ascension, CanticaNova Publications. Hymns of the Spirit Three, Ascension, Richard E. Hurst, Universalist National Memorial Church. Choral Anthem Project, Ascension B, National Association of Pastoral Musicians. Worshiping with Children, Ascension C, Easter 7C, Including children in the congregation's worship, using the Revised Common Lectionary, Carolyn C. Brown, 2016. "He Is With Us Always," Frances Woodruff, On the Chancel Steps, 2012. Clothed With Power & The Hope of His Calling -- Children's sermons by Brett Blair and Tim Carpenter from SermonSuite. 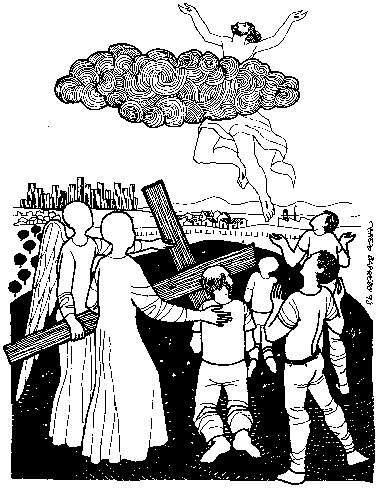 Story for Children's Worship and Family Activity, Ascension, at word-sunday.com: A Catholic Resource for the Lectionary by Larry Broding.